Here's the thing, nobody ever really teaches you this, and it is a sound business practice. In fact, when I was in the commercial nuclear industry, one of the things that we always, always, always did was eliminate and manage risk, or mitigate risk. Because in an industrial environment, you have to know how to do that; otherwise, when you go to execute work, people can get hurt. There's a lot of checks and balances in the industrial work that require that, but guess what? It can be used in the business world, too. In fact, it is used in the business world in all sorts of different niches, in all sorts of different environments. The best corporations, the best businesses in the world all do this. They all do it. You, as a network marketer, why should you not do it? Why are you not doing it in your business? Well, the god's honest truth is nobody's probably taught you, because if you didn't already know this, and I say this time and time again, you'll hear me say it, this won't be the last time you hear me say it, there's a gross problem in this industry that revolves around training. The industry is unregulated in terms of how people are trained. Most companies rely on the master distributors to create and implement that training into the organization. Even then, there are, what I call, rebels or groups that don't follow that training. They create their own, do their own thing. Sadly, that's just the way it is. When you run into something like this, take notes. Take notes, because odds are really good you're probably not going to learn it anywhere else, but that's okay. That's why you're hungry for more education, for personal development, personal growth. Self-education will make you a fortune, right? Formal educational will make a living, as Jim Rohn said, but self-education will make a fortune, so this is good stuff. We're going to talk about risk. I have a little formula here for you. It's R equals C times P minus M.
R, simply put, is risk, okay? Risk equals something here. The C is consequence. In other words, what is the consequence of the risk you're taking in business. The P is probability. What is the probability that it's going to occur? What are the chances that it's even going to happen? You need to understand what is the consequence, what is the probability. Those two factors get multiplied together. Then, the M that you subtract from that to get the whole risk percentage or the total risk of the activity that you're going to do is mitigation. What is your mitigation strategy? How do you mitigate the risk that you see from consequence times probability. This is exactly how we did it in the commercial nuclear world when I was involved in corporate America. Most places you go look online, or you go look in a school, or whatever, they won't have that M there. They'll just have C times P or some version of that. But M, you got to have it in there. You got to know, if you're going to take a calculated risk, you need to know how to mitigate it, or eliminate it. But if you eliminate it, then it's eliminated all together. But if it's mitigated, then you subtract that from there, and that's how you get that formula. How's this relate to network marketing? One more thing, L, M, H. When we get into this here, and we talk about this, and we talk about consequence and probability, we're going to categorize each risk as either low, moderate, or high. Or is it high risk? That's how we're going to do it. How does this relate to the network marketing profession? Well, let's just take the top three. Number one: What is a risk, a common risk, that you either felt or somebody that was getting involved in your business felt that was real to them in terms of this doing network marketing, like getting started launching a business and putting my effort into it? This is in no particular order. In fact, there's one I think that tops them all, and I'm not going to list that first. But relationships, so what are people going to think of me? Am I going to lose my friends? Are my business colleagues going to turn their nose up at me and not do business with me anymore if you're a business owner and you're looking at this model? That sort of thing. Relationships, they can be damaged. I could lose people in my life that are important to me, that sort of thing, okay? There's some people look at the stigma or the stereotype and they latch onto that. They think that applies to everybody's thinking that way, right? They think everybody out there thinks that way, so they're going to think that way of many of my friends are going to abandon me. The other risk, obviously, is money. How much money could I possibly lose in this deal, right? We got to look at these items from a consequence and probability standpoint. How much time in my life, which I never get back, I can always replace this currency as fast as I know how based on my given skill set, but how can I ever get that back if I lose it? That to me is the biggest factor in this equation that we need to figure out, and I'll give you some tips on how to figure that out. If you're doing a risk analysis on these three things, and you're going to do your own. You're going to do your own because this will look different for me than it will for you, okay? Based on what you do for a living, who you have in your life, and how much money you have in your bank account, and income, and all those sorts of things. But relationships, what you need to look at is you need to look at consequence. The consequence is I lose them, right? Worst case scenario, I can lose them. That's the consequence. What's the consequence? Well, the consequence is pretty high, right? For most people, that's pretty high? Here's what we really get into right here is this is the factor that really matters. What's the probability that you're going to lose all your friends when you start this business? If you're not trained correctly in how to communicate the business model of network marketing, the probability is high. I was part of the NFL, No Friends Left club. I know a lot of other people out there, colleagues of mine, business partners of mine out there in the industry are in the same … They have the same story, right? They had friends. They showed their friends. They didn't show them the right way. They laughed at them. Blah, blah, blah. They got in a fight, never saw them again. I can give you examples of that that are pretty heart shattering. But probability, if you communicate it correctly to people you know, is really low. That's what you need to understand here is this probability is going to change based on your own ability to communicate the model. You're going to have to gauge that probability correctly. Now, what I would encourage you to do is if you gauge this high. If you say, “Man, it's really high, because I know I'm going to muck this up. My friends are going to laugh at me,” then you need to take some ownership and accountability. Go out and acquire some communication skill sets, which is just learning some phrases to say that aren't manipulative, that aren't weird, that don't make you seem awkward so that you can communicate that to your friends, your family, whoever you know in a way that is pleasing to them so that you don't lose them as friends or whatever if you want to keep them as friends. We already talked about the mitigator. Well, yeah, then you're eliminating the risk. You don't even need to talk about mitigation. But if we're talking about mitigation, what your mitigator here really is is acquiring the skill sets to communicate. You want to make the mitigator huge and basically get this risk factor all the way close to zero. Learn the communication skill sets. There's plenty of leaders out there that have created great scripts for you to use on the phone with people, especially people you know. Learn how to do a three-way call. Learn how to connect people you know with an up line that has those skills. That's an easy way out without even having to learn the skills. Then, boom. You've taken this mitigator and you've basically taken the consequence and probability out of the equation. That is my tip for you for number one in terms of managing that risk, okay? Well, if you are the type of person that's going to stay in this business for 20 years, whether you make money or not, and you plug into an organization training platform, whatever, that basically hooks you in and keeps you there because of some sort of loyalty, some … What's the word I'm looking for? Just totally blind loyalty to something, and you stay in for 20 years and make no money, the consequence is high. The consequence is really high, okay? But in terms in general of this profession, the consequence for losing lots of money is super low. I mean, what are we talking about to start? The on average starting kit maybe will run you 500 bucks on average. I've seen them lower. I've seen them higher. I've seen them all the way go up to $4,000. I wouldn't recommend kits like that, but you can find kits for 1,000 bucks, 1,500 bucks. Some of the higher ones are in the 2,000, low 2,000 ranges. But in terms of starting a business, consequence, that's really low. I would say for most people, maybe not you, but again, you need to look at this from your own standpoint. For most people that is low. The consequence of losing money is low. By the way, if you're taking advantages of tax savings and things like that, then the government will basically pay you to run your business. At the end of every year, you'll have so many write-offs that they'll literally paid for your starting cost, your monthly, your … I mean, it's crazy. But the consequence for money is really, really low. But probability, what's the probability that you lose a lot of money? Well, it's pretty much nonexistent. If you make this low, then by default probability is going to be low. But if you decide you're going to stick it out no matter what, and never quit the company you're in for example, even if the company is going to go bankrupt, or even if there's all sorts of writing on the wall that you shouldn't be with that company, then that might be high. But again, you need to do the analysis yourself. Mitigator, how do you mitigate it? Here is where the rubber meets the road. I'm going to tell you right now how to mitigate the money thing. Write off your taxes, or write off all your business expenses. Write off your rent, your mortgage, whatever you got, your car payment, your food. Write everything off that if you do business that day with network marketing, you can write your food off. You can write everything off and literally those write-offs at the end of the year will pay for your business. That, in my opinion, the tax savings, is the number one mitigator. Another way to do it is also if you're just getting started, another way to do it is to make a commitment, to do it for a certain time period. Say, you know what? I'm going to give this thing a one year shot. For one year, I'm going to go to every company convention. Typically there's three to four in a year. I'm going to plug in. I'm going to be on every call. I'm going to call 10 to 20 people a day. 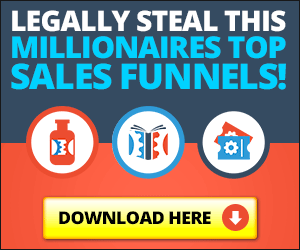 I'm going to generate 10 leads a day. I'm going to follow up with those people every day. I'm going to do what I'm supposed to do in this network marketing deal to make this happen for a year. If it doesn't pan out after a year, then I'll reevaluate. By the way, if you do that, you could calculate in number. I call it KYN, know your numbers. You can know your numbers. You can know how much money it's going to cost you. You can say autoships 75, 100 bucks a month. Over 12 months, that's going to cost me $1,200. A starting kit is $1,000. That's going to cost me $1,000. Convention tickets are 150 bucks a pop. There's four of those. That's going to cost me 3, $600, right? By the end of the year … Then some other things, whatever training material, whatever else you going to to buy. But at the end of the year, this whole deal is going to cost me about $5,000 total after 12 months in it. You can calculate that number and then say, “Oh, you know, my tax write-offs will be more than that, so I'm in the green. I'm good to go, so no risk there, and back to taxes with mitigation,” but you can figure out the money thing, right? And figure out whether or not it's going to be worth it or not to you. Know your numbers. But now, were down to time. Consequence. For me, it's high. To me, the consequence of losing a year of my life to something that doesn't pay me money and it's just a waste of my time is really high, because I never get that back, right? For me personally, I rate this high every time because I value my time. I would much rather spend my time with my family, with my children doing stuff that I really, really, really love to do, wakeboarding, golfing, whatever it might be, going to the gym, than I would making phone calls with leads. I love getting on the phone with people, hearing their story, and doing all that stuff, but if I weighed that against spending time with my family, being free, doing … This wins every time. It's high here with consequence. What's the probability that I lose my time? What's the probability? For me, in my current state, it's low. When I first got started, it was high. I wasn't confident. I didn't have confidence in myself as a leader. I didn't know how to do the deal. I didn't have skill sets to do the deal. For me, it was very high. It doesn't have to be a year for you. It could be six months. Give it a decent amount of time. Now, I recommend at least six months, because it takes, I would say, several months to acquire the skill sets because they're brand new skill sets. I promise you you probably don't have them unless you were in sales, unless you were in marketing, unless you were in some sort of … Unless you have some of these that you come to the table with, it's going to take you time to develop them. Give yourself at least six months to acquire the new skill sets. My mitigator is I'm going to put it in active effort for a certain amount of time. By the way, if you don't put in the effort … Like in other words, I say, “You know, I'm going to give it a year.” Six months goes by and you haven't done a dang thing, you need to start reevaluating what it is about you. Do I not have a passion for this model? Do I not have a passion for this product? Or do I not have a passion for whatever it might? You need to start doing some internal evaluating. I had a friend, by the way, who runs an internet marketing company. I won't give you his name. He was in this industry for 15 years, never really made any real serious money. We had a heart-to-heart conversation. Boom. He's doing really, really well. You know, your passion is huge. It's a huge part of it. You can build passion for something, absolutely, but you really need to … If you're going to do this, if you're going to evaluate time and look at that as a risk … By the way, these are my risk factors. You can add more if you think there's more. But the mitigator, in my opinion, is how much time are you going to let this thing go on for? That's the real risk, right? Because it's your time is more valuable than anything in this world. You can never get it back. You don't know how many days you have left on this planet, so let's make the biggest impact we can doing whatever it is we're most passionate about. I hope it was really helpful. It's made a huge difference in my business life, not just network marketing, but business in general. I hope it'll help you guys, too. Share this if you love somebody, and get it in their hands, because it could change their business, change the way they look at opportunity, and maybe even get some more people into your business.